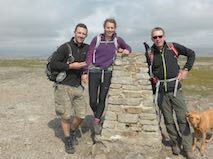 Yesterday saw us complete the long journey from Settle to Pitton. I have travelled the route numerous times, but with a caravan, roadworks and the odd section of heavy traffic it was not a fun journey. It was not made any easier by the varying facilities that motorway service stations provide for caravans. For most of our travels this summer we have done short hauls between sites and rarely needed to stop, but on a journey of over 275 miles there is a need to take a few breaks. In some service areas we have found dedicated parking for caravans, but in many others it is a case of trying to park alongside lorries and occasionally we have found ourselves blocked from a direct exit. After a full days travel we arrive in Pitton and get ourselves pitched up on Whitehill Farm caravan site. 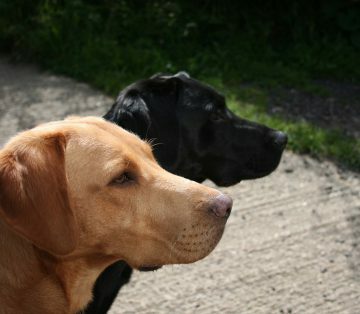 This is very familiar territory for the dogs and almost as soon as we are unhitched they are off for a walk to explore the area that forms part of their normal routine walk when we are at home. The reason for coming back to Pitton on route to Taunton is to catch up with family and friends, plus the Saints are at home today against Sunderland. A home game against Sunderland is not normally the highlight of the football season. In recent years the games that Saints have played against teams managed by Gus Poyet have been a bit tiresome due to his defensive approach when visiting St Mary’s. So arriving at St Mary’s there is expectation of a hard fought win by the odd goal. Sunderland start positively and arguably for the first twenty minutes are the better side but by that time they were 2-0 down following a bizarre own goal by Vergini and a well worked goal for Pelle. When Jack Cork made it 3-0 before half time Saints fans were confident that another win was on the cards. Sunderland show a bit of fight at the start of the second half but another own goal, this time for Bridcutt makes it 4-0 just after the hour mark. The Sunderland players look totally demoralised and before the final whistle Saints score four more to end up 8-0 victors. There were plenty of other chances to score and it could easily have been double figures. This is the biggest winning margin that I have seen for the Saints, over the years I have seen some cracking games. We were at the Dell on 13th April 1996, the day that Alex Ferguson made his players change out of their grey shirts at half-time because they could not see each other, Saints won 3-1! It was only a few months later on 26th October 1996 that Ferguson’s United team returned to The Dell for revenge. Aside from the 1976 FA Cup final this was one of the most memorable matches. The United team were full of stars included Schmeichel, Keane, Beckham, Scholes, Pallister, the Neville brothers and Cantona. The atmosphere was electric and Saints were 2-0 up early on with goals from Eyal Berkovic and Matt Le Tissier, Beckham pulled one back but Egil Ostenstad made it 3-1 at half-time. Just short of the hour May scores for United (3-2) and it remained that way until ten minutes to go when Eyal Berkovic scored again (4-2), followed quickly by Ostenstad’s second (5-2). Almost immediately Scholes scores ((5-3) before Ostenstad completes his gets his third. I know there are record books that suggest that the final goal was an own goal, but I can assure you Egil scored it with a slight deflection off Gary Neville. 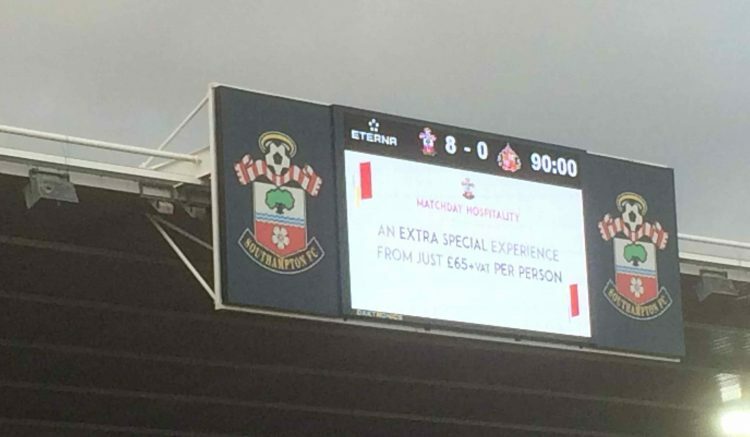 Final score; Southampton 6 v 3 Manchester United! Happy days!